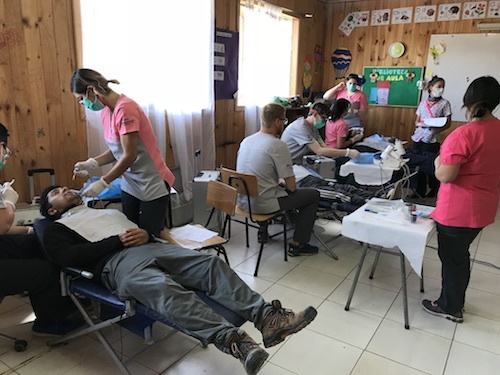 March 2018 - Stony Brook School of Dental Medicine (SDM) collaborated with students and faculty from the Universidad del Desarrollo, and from the University of Connecticut (UConn) to provide oral health care in Neltume, Chile, as part of the Friendship and Oral Health (FAOH) Program. Over three hundred adults and children were provided with dental services throughout the weeklong mission in March. The SDM team included Mary Truhlar, DDS, MS, Dean, Dan Colosi, DDS, PhD, Associate Professor and Acting Chair, Department of Prosthodontics and Digital Technology, and six Year III and Year IV students. 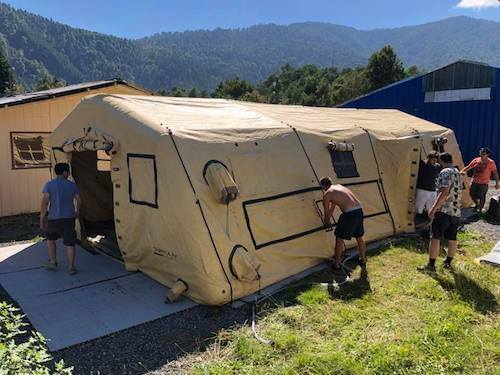 Upon arrival to the site in Neltume, students worked together to erect a large tent and organize temporary workstations for treatment. Working in this provisional environment "helped to develop management skills for different situations when things are not working out as planned," said Year IV student, Ivan Pak. "We needed to adapt." The team used materials donated by Henry Schein as part of its Henry Schein Cares Global Student Outreach Program to provide oral health care education, emergency dental services, screenings, preventative care, sealant applications, and restorative treatments to children and adults. 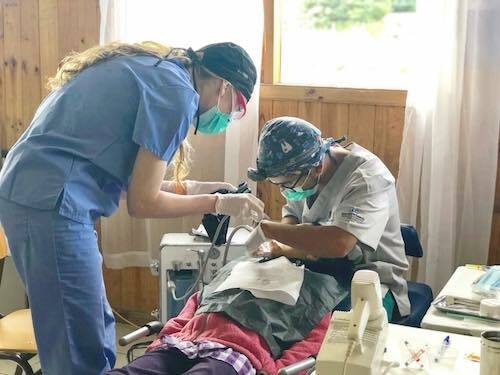 "The contribution from Henry Schein allowed us to increase the extent and quality of care that our outreach team provided in collaboration with our partner dental schools, by allowing more procedures that require the same type of instruments to occur simultaneously in different patients," said Colosi. Collaboration between SDM, UConn, and the Universidad del Desarrollo led to the sharing of approaches to therapeutic procedures. "I learned many different techniques," said Year IV student, Luke Shapiro. 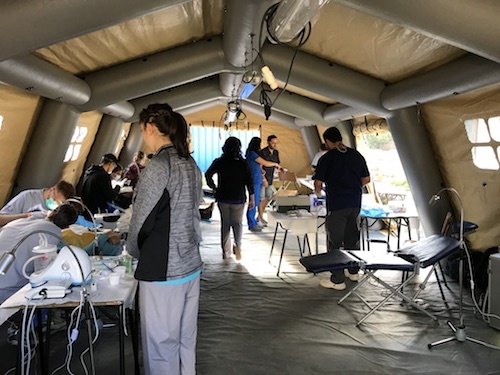 "There are different ways to do certain things in dentistry, so it was a great experience to be able to learn from the Chilean faculty and students." Year III student Lydia Hunt added that they were exposed to "new dental materials and methods to restore large cavities." Pak, returning to Chile for a second outreach mission, was remembered by a previous patient. After calling out the patient's name, she greeted him with a big hug. "I realized that she was a patient I had seen the previous year and she was grateful that I took her out of pain as a result of that visit," Pak said. "It was one of those patient interactions that make you feel good about the work you are doing." "Many of the Chilean patients use Friendship and Oral Health as their sole dental provider. They trust and love the program," said Shapiro. "The people are so grateful to be there." Shapiro was particularly moved by the gratefulness of a teenage boy whose chipped front teeth he was able to repair along with a cleaning and cavity fills. "His face was glowing just because I fixed a small chip," recalled Shapiro. "In my future career I want to participate in outreach programs," said Hunt, noting the success of continuous care and preventative education over the decade plus that FAOH has operated in the region. "Outreach is about making sure people in underserved communities know that there is someone out there who cares about their health and wellbeing." 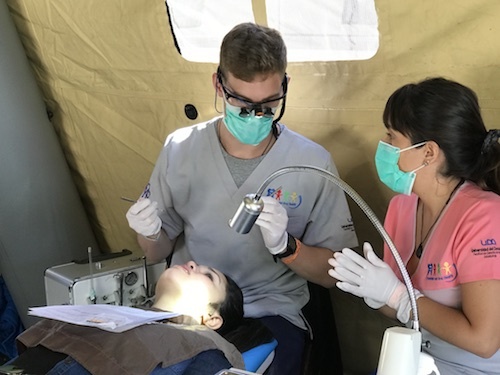 SDM's participation in the FAOH program is representative of its ongoing commitment to providing oral health education and treatment to the underserved both locally and throughout the globe. 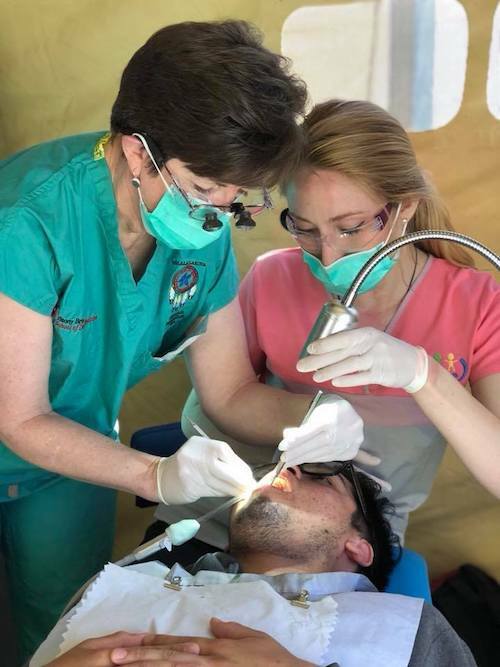 In March alone, SDM also provided dental screenings and services to hundreds of children and adults in Buff Bay, Jamaica, in Buena Vista, Virginia, and in Garden City, New York through outreach missions. In upcoming months, SDM will provide dental care in South Dakota and Madagascar, in addition to its frequent outreach on Long Island.